Can Dogs Eat Rice? White or Brown Rice? Is Rice Good or Bad for Dogs? Today’s question: can dogs eat rice? Is rice good or bad for dogs? Scroll down for detailed answers. Dogs are omnivores, and usually a pup will take this term to whole new level by being willing to eat just about anything. Dogs are supposed to eat meat and generally receive their protein requirements from a meat source. Bring an omnivore allows dogs to supplement their meat diet with fruits, veggies, nuts, and grains on occasion. As an omnivore, a dog is allotted a large pallet of foods to enjoy. Keep in mind though, just because a dog is ‘able’ to eat a food does not mean the dog will digest the food well and tolerate the human food ingredients. Dogs tend to be left with being fed only kibble and moist dog food from the owners. While this is the responsibly thing to do as far as feeding your dog, you may wish to offer your dog up a bit more of a variety of foods. With such a plain everyday diet, doggies truly enjoy a diversified menu. They utterly relish vegetables, fruits, meat and even grains. 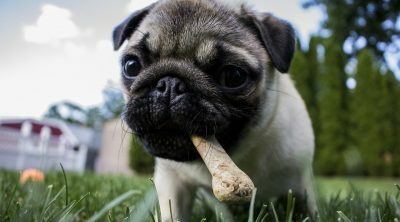 Your dog is capable of eating most any food, and is also just fine eating only food created for their specific breed and size of the canine species. Whichever food you choose, your dog will be happy simply to have been fed without the trouble of hunting and gathering the food himself. The short answer is yes. You can feed rice to your pooch. Rice is considered to be one of the most effective remedies to treat a dog’s upset stomach. Just as have a bowl of rice or a banana can soothe your stomach, the solid and plain substance of rice can soothe your dog’s stomach as well. Thus, whenever you notice your furry buddy is suffering from a stomach ache, a little bit of cooked white rice will be the perfect treatment for mending the ache. Also, if your pup often deals with diarrhea, then introducing rice into his/her diet can prevent that from further occurring. Rice is wonderful addition to the diet of those suffering from stomach issues. The plain substance and lack of flavor and seasoning allows this food to be tolerated by most any person or dog without side effect. Your pup will undoubtedly appreciate being offered a diversified diet, rice included. Dogs do not discuss among themselves their diet preferences and new recipe plans, but a dog will appreciate a simple break from the norm as far as dinner time is concerned. 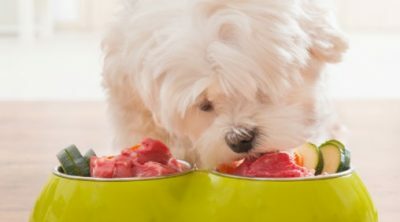 Dogs eat the same food every day, and adding a bit of texture to their food bowl in the form of rice may add a bit of pep to your dog’s step and soothe any tummy troubles your dog may have that you are unaware of. 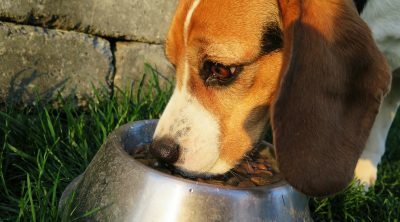 Rice portions will undoubtedly enhance your dog’s digestion and improve his stomach health. The fiber in rice is widely effective for treating diarrhea. However, you should bear in mind that a rice-only diet is not an option for your dog. Dogs require a lot of protein in their diet to grow, thrive, and life a healthy life. Eating meat is the main source of nutrients for a dog, and substituting rice for meat will not provide the essential nutrients your pet needs. Rather than offer rice to your dog in large quantities, you may include rice in your dog’s menu 2 or 3 times a week. Get creative for mixing it up with other ingredients. Rice is very malleable and can be used is many ways. You can mix rice up with a meatball for added flavor and nutrition. Every dog loves meatballs! 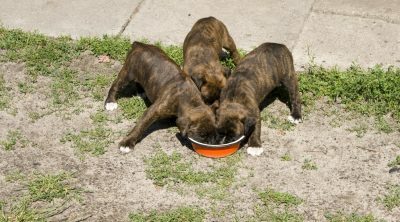 Rice may also simply be mixed in with kibble or wet food to add a bit of a filling to your dog’s dinner bowl and a slightly different texture. Since rice does not have much of a flavor, your dog will not have the added boost of flavor enhancement of the food, but should enjoy the rice just the same. Your favorite pet will definitely appreciate the intention! Brown rice is believed to be more beneficial for dogs’ overall health in a number of ways. The reason is that brown rice will ensure your pet’s necessary protein intake, embodying less fat than white rice. Additionally, brown rice incorporates high levels of neurotransmitter nutrients, whilst at the same time containing powerful antioxidants which aim at strengthening your dog’s cardiovascular system. Brown rice also breaks down in a slightly different way than white rice, being less likely to raise your sugar levels and less likely to make your dog put on weight. Brown rice is a healthier alternative to white rice and should be used when possible. The sugar content of your dog’s food is just as important as yours. Excess carbohydrates and sugars should be avoided when able. On the other hand, white rice is easier to cook than brown rice, thus it takes less of your time to prepare it. White rice often times costs less than their healthier counterpart and is easier to find at the market. 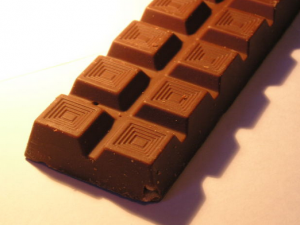 Additionally, it’s an excellent source of energy for dogs, being rich in carbohydrates. 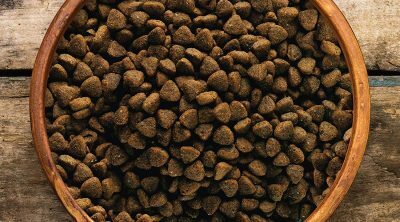 However you work rice into the diet of your dog is fine, as long as their health is the most important aspect of diet supplementation. Including rice into your dog’s diet implies a lot of benefits. To begin with, being loaded with carbohydrates, it provides your dog the necessary energy as well as regulating the functions of its brain. Moreover, it contains beneficial fats and no sodium, which is overall harmful for dogs’ health. The fact that it presents low sodium levels makes it recommendable in cases of high blood sugar and increased tension. This grain is rich in vitamin D and essential minerals including calcium, iron, and healthy fiber. Its high levels of fiber are beneficial as they naturally diminish the risks of cancer. If you’re thinking of sharing some rice with your furry buddy, the preparation process is pretty similar to the one when you’re cooking rice for yourself. Thus, simply boil a cup of white or brown rice, whichever you prefer best, and let it boil until it’s ready. After it’s cooked, let it cool down. Now it’s time you get creative and mix the rice with other ingredients. You can consider adding some vegetables, meat, or even commercial dog food. As long as your pup is not the picky type, any combination will work just fine. Your furry pal would love having some rice for dinner. 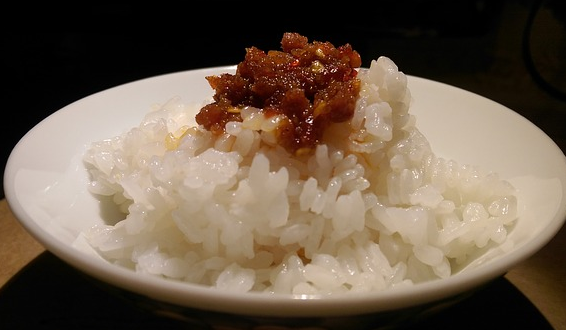 Rice is soft and easy to chew and digest. Rice is also so small and soft that there is little risk for choking and a stomach/intestinal blockage is near impossible due to the texture of cooked rice. You may offer your dog rice that has been cooked or steamed, but for obvious reasons, do not give your dog raw rice straight from the package. Raw rice is a bit sharp and has corners that can scrape your dog’s throat and stomach lining. Raw rice might also become stuck in your doggy’s teeth and gum line causing pain and unnecessary health issues. You would not purposefully eat rice that has not been cooked, please do not offer your dog this unpleasant version of rice either. In the event your dog has gotten into your stash of rice and eaten rice without your permission, raw and in a large amount, check the teeth and gum line for obstructions. Also watch for any signs of discomfort or pain. 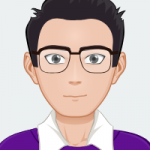 Your dog will not suffer a great deal or have a risk of death from eating uncooked rice, but you should be aware of your dog’s disposition for the next 48 hours in case something has gone wrong in the digestion process. When cooking for your dog, don’t add any spices, salt, onion or garlic powder. These ingredients are harmful for dogs but plain rice works well. Also, make sure to cook the rice since uncooked version of it will swell in the stomach and cause problems. 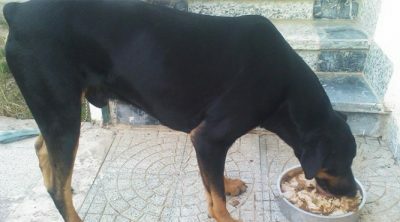 Moreover, a large amount of rice may bowel up the dog; it needs to be given in small amounts. Here’s a suggestion of a delicious recipe which includes rice. Your dog will relish it immensely. First, you need boneless chicken and white rice. Secondly, boil the chicken for at least thirty minutes until it’s cooked thoroughly. After you have made sure the rice has been properly cooked, take it out of the broth and let it cool down. Skim the fat remaining on the top of the chicken broth, and use it to boil the rice. Let the rice boil for at least 25 minutes. After the rice is cooked, add the chicken cut into little pieces, and mix it up. That’s it. It’s quite simple and time-effective, and your dog will love you for it! Normally, dogs are not allergic to rice. Nonetheless, there are cases where your canine buddy might not react positively to this grain. Thus, if you notice the appearance of symptoms including hair loss, itchiness, hot spots, or perhaps ear infections, then the odds are your dog doesn’t seem to tolerate rice as much and might suffer from an allergic reaction. In this scenario, the best advice is to take your furry pet to the vet at once and make sure not to feed him rice again in the future. The studies have shown that rice contains arsenic (a chemical element that may cause cancer). However, scientists concluded that the arsenic levels are too low in rice to cause any immediate or short-term adverse health effects. If this still concerns you, feed rice only occasionally to your beloved pet. Usually, rice is certainly a positive addition to your dogs’ meals. It grants you a lot of possibilities, while diversifying your pup’s diet at an affordable cost. Additionally, it provides your favorite furry pet with essential minerals and energy, whilst being a natural remedy for digestive issues. There’s no reason why you shouldn’t feed it to your pet 2-3 times a week. Just make sure your dog’s not allergic.